After getting updated about what happened in trial today, I opened my fortune cookie. 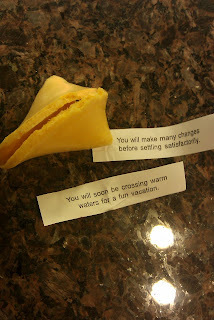 Got two fortunes in one cookie. That's a great sign! It just confirmed what I already knew, a well deserved vacation is in my near future.